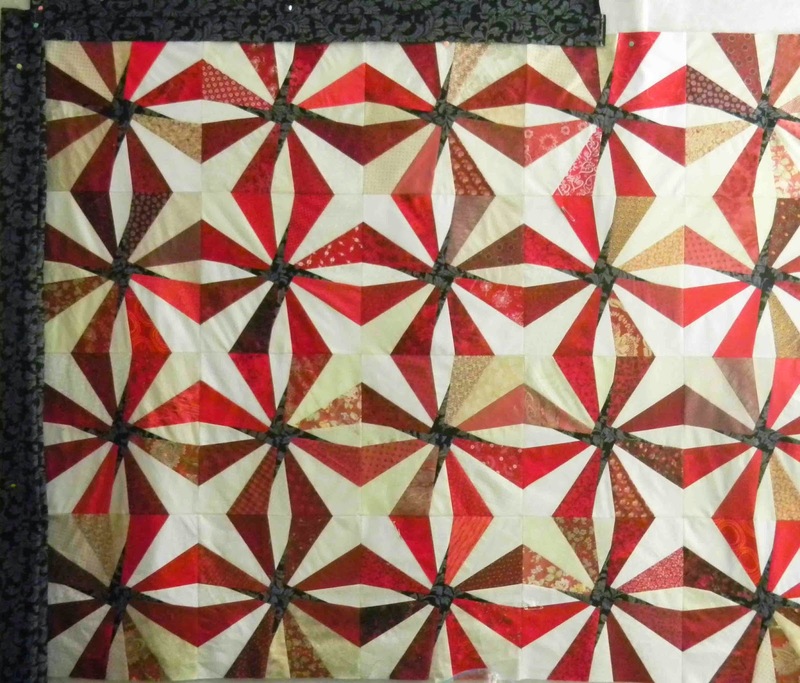 Following the June Sewing Day and much playing with the layout of blocks, the Group Quilt is now in one piece! 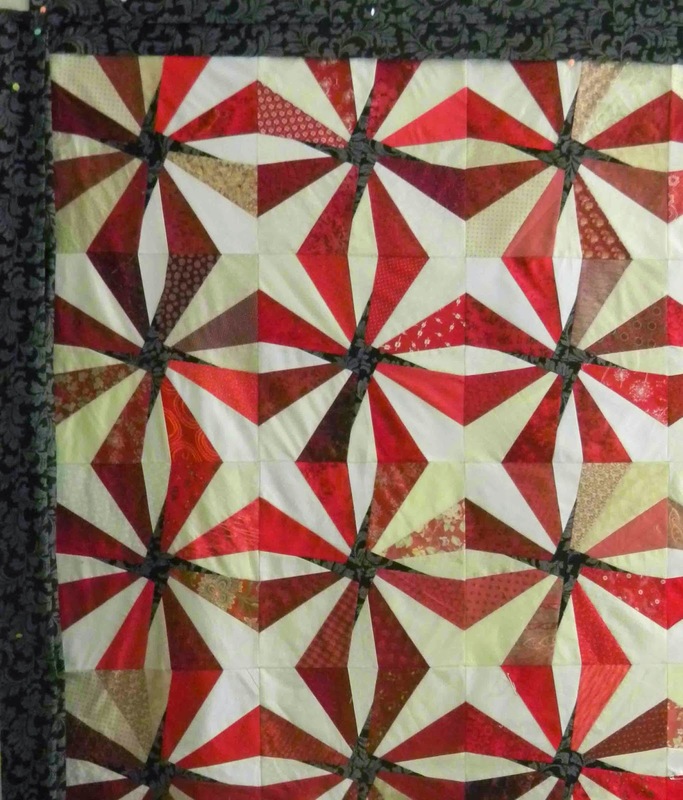 The general feeling at the sewing day was that a single 5" border of the star fabric would work well. The quilt is looking really impressive from the photos. Congratulations to all involved. Re the border, judging from the photos, the choice looks ideal - frames it nicely and not too wide.